Who is Gleeful Blogger ? Reading helps me keep my mind off to outside commotion, the best de-stressing & captivating exercise after a hectic day of running around unseen goals. I do not need any special space or time to start my affair with a book… either a cozy corner or while cummuting my handbag essential is a Book. When my little one see me reading, she hops on with her story-telling books and pretend read along with me. Though her concentration is short lived & trickles away instantly. I always wanted to get an interesting book, which not only garner her interest in reading but also educates. A friend mentioned about this ‘Personalized Book for Kids – Oh! My Name’ on enquiring further I found it pretty interesting, hence immediately decided to order one book online. 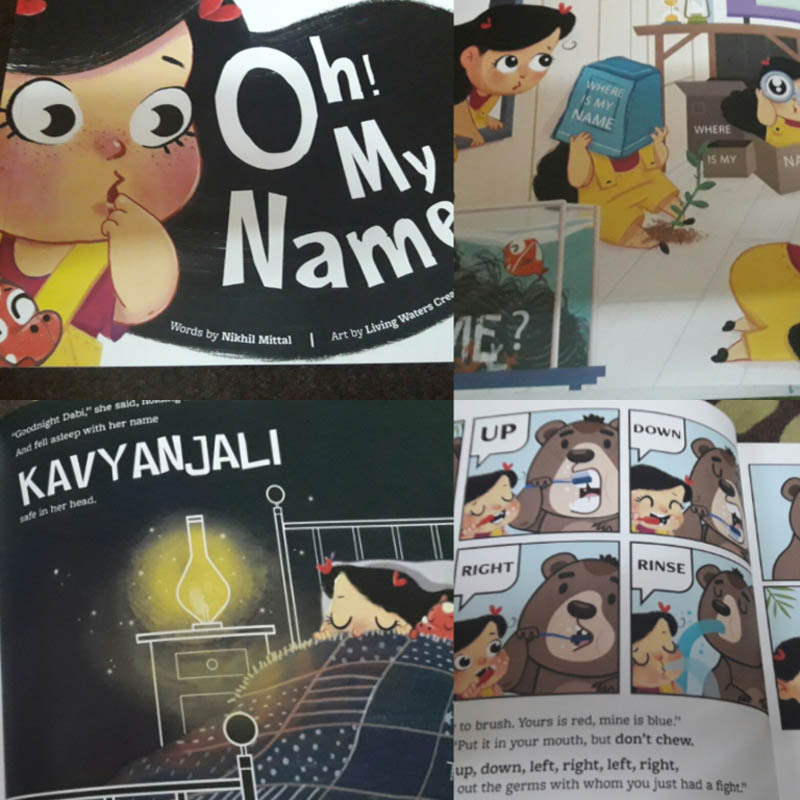 They have a dedicated website, just log on to www.ohmyname.net and fill in your kid’s details to personalize your own copy of Oh! My Name book. The home delivery was prompt and the book is amazing. Paper quality is superb; colours and texture is great too. Infact, even I fell in love with it. Your Oh! My Name book comes with a cute little toy named Dabi it’s my daughter’s favourite pet nowadays. 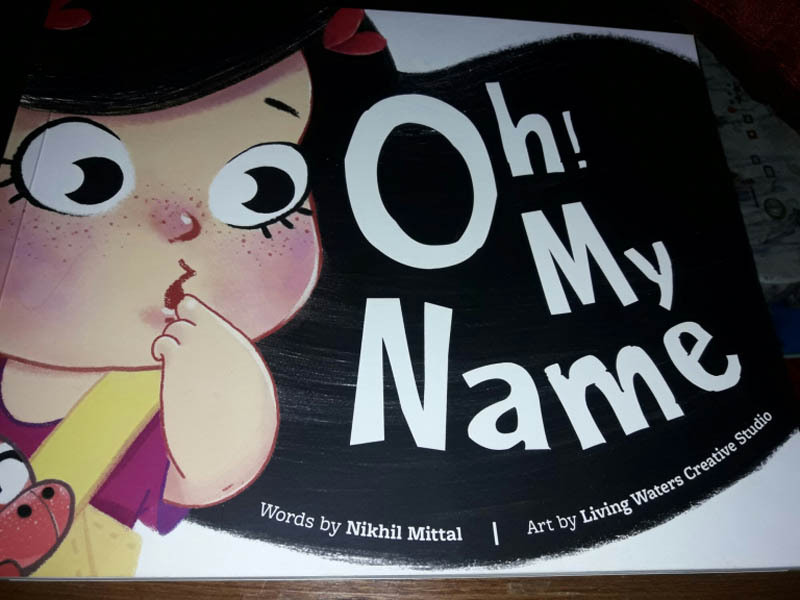 The USP of this book is, it’s personalized with your child’s NAME; and a cute little message… My litle lo is finishing her playschool 3rd year, hence recognising her name on the book piqued the interest levels to a new high. 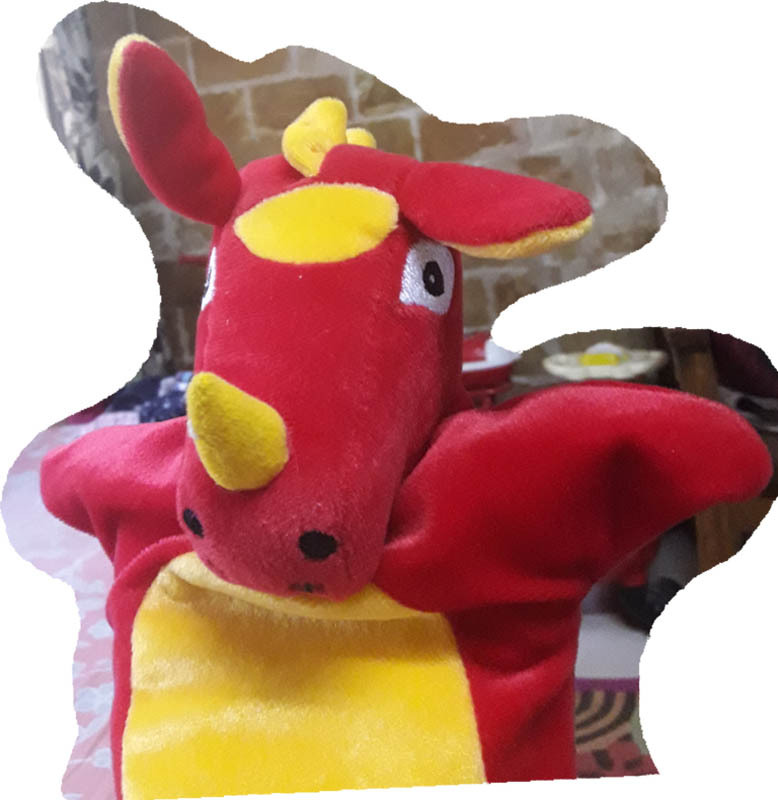 Our dear Author Nikhil Mittal has a flow with the words, his creativity made the book quite intriguing for kids (moms as well ;)) Book starts with this cute little girl searching something in her house; searching high and low, pondering all the while…. what’s missing? Oh! My Name. She cannot remember her NAME, her search begins with a journey; oh wait, I am forgetting something… her travel buddy, Dabi she goes on this adventurous ‘searching for her name’…..
Dabi & her new friend begins their fun along journey under the big blue sky. They meet many characters throughout their journey, each gives them something special and a lesson for life. With all those gifts and adventurous ups and lows, will she be a able to find her name?? You can also connect with the Nikhil & team via all social networking sites, like Facebook, Twitter & Instagram.